Earn up to 1,728 reward points. 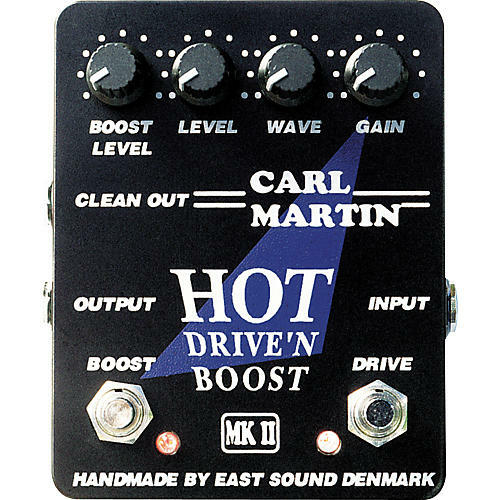 Voiced with an emphasis on the midrange, the Hot Drive'n Boost pedal will produce tones ranging from crunchy blues to classic rock with great sustain, but cleans up nicely when you back off on your guitar's volume control. The unit features both clean and distortion outputs for players who wish to split their signal into 2 amps. The boost feature lets you pump out up to 22dB more punch for solos that really stand out!